If you are planning to build a new house, it is important that you carefully consider your lot. While you might already know what kind of home you want to build, choosing the proper homebuilding site should not be taken lightly. Take some time to consider the following information before making a final decision about your lot. Lifestyle and needs: Each person/family has their own lifestyle and needs and both will greatly influence the lot or building site you choose for your new home. Consider how close you want to live to all the places you go to on a regular basis such as work, church, school, restaurants, and shopping centers. How far do you want to live from these places? Do you need to live within walking distance? A ten-minute drive? Or is farther away going to be okay with you? Next pay attention the improved ground around the subdivision or lot you are considering? Are sidewalks and streetlights already available? Is it important to you to have these things? If they are not already available, it is important to know that purchasing a lot in the subdivision might require you to contribute a portion of the fees to install these things in the neighborhood. Finally, think about what you envision for you new home in terms of neighbors and space. While some people want to live in a neighborhood with lots of kids so their own children will have friends to play with, others prefer a more secluded lifestyle with plenty of space between them and their neighbors. Affordability: When it comes to building a new home, the cost of the lot is a factor in the overall building budget. It is necessary to be sure the cost of the lot will fit your budget. Can you afford the lot and still build your dream home? While the cost of the actual property might fit your budget, you should consider all the costs associated with getting your lot ready to build. Clearing trees, blasting rock, grading the land for proper drainage and building retaining walls if necessary are just a few of the things that will dramatically increase the cost of the lot before you are even ready to begin the actual construction of your home. Before you purchase your lot, it is a good idea to have your builder visit the property with you. Builders can often see things about the lot that might cause potential problems or require extra work in preparing the lot before construction begins that will drive up your costs and could potentially blow your budget. Finally, if you choose a lot where utility services are not already available at the lot, you will be responsible for the costs associated with running water, sewer, gas, electric and other utility services to your lot. However, if you choose a lot in a subdivision or neighborhood where these utilities are already available, additional costs, if any, are substantially lower. The Home You Have in Mind: Before choosing a lot, take some time to consider the home you have in mind. Is the lot compatible with the home you envision? Familiarize yourself with all aspects of the potential lot. Physical, environmental and aesthetic factors can have a profound effect on the design of your home or the floor plan you choose. You wouldn’t build a 6,000 square foot home on a half-acre lot, so the size of the lot will matter. Likewise, if you aren’t one for using the yard, maybe a smaller lot with less grass to mow is better for you. Take some time to check with your local planning and zoning board to learn more about your potential lot and the surrounding property. You wouldn’t want to build a beautiful home with plenty of decks and widows to enjoy the view only to find out a year from now that the common ground behind your home has been zoned commercial and a new skyscraper is going to block your view. Finally, think about how the home you envision will sit on the lot. Is it a sloping lot that will require a walkout basement or a drive-under garage? Sometimes the features of the lot will influence features of your home, so take some time to make sure they will complement each other. 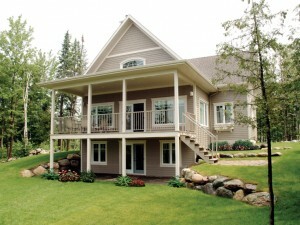 The Yard: When choosing a lot, consider how you plan to use your yard. Check with your local government to determine the zoning and setbacks of the lot. This will give you a clear picture of what you can build on the lot, how close you can build to the property lines, and what will be leftover for your yard. The size and shape, topography, drainage and slope of the lot will certainly influence how you use your yard. Do you want outdoor living space such a covered patio or outdoor kitchen? Do you need a clear and open space that requires full sun such as a pool or garden? It is important to think about how you plan to use your yard or what outdoor spaces you’ll need so that you choose a lot that will accommodate your dream home and give you the outdoor space you need to enjoy life to the fullest. Building a home is exciting, but choosing the wrong lot can make for a bad experience so carefully consider the information provided above to help you make a good decision when choosing your lot. If you are planning to build a new home, chances are you are searching for the perfect lot. Because you have the power to choose the location, most likely you are looking for the best lot possible. Taking the time to select the ideal location will pay greater dividends should you ever decide to sell your home. Keep in mind that an awesome house an on a poor lot will not be as good an investment as a smaller home on a prime lot in a great location. 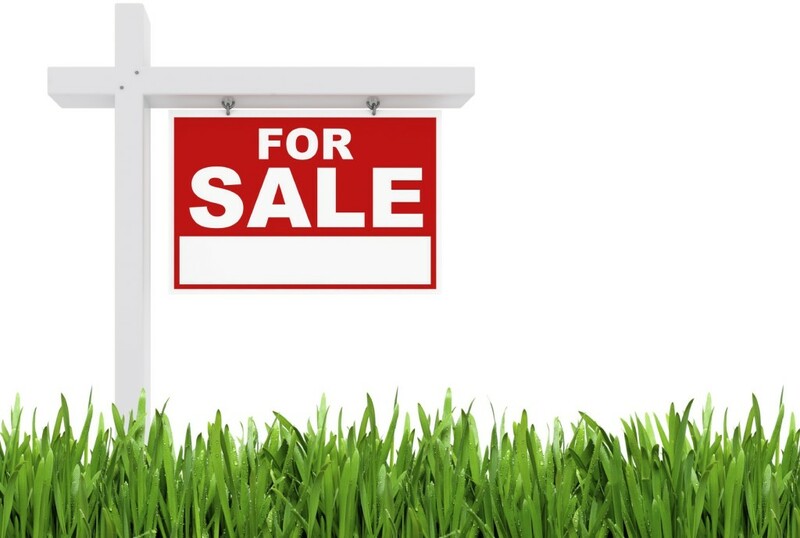 These helpful hints will help you search for the best lot for your new home. Make a list of all the possible sites you think will work for you. The larger the list, the better. Now compare the lots and start eliminating the less desirable ones. Consider the location of the lot to all the places you travel on a regular basis – work, school, the grocery store, other shopping areas, church, etc. Check with the zoning committee to find out what is planned for the area in the future. Will the wooded area behind the lot be cleared one day for a major roadway? Is the area showing signs of growth and prosperity? If the area is in an upswing it will enhance property value. Narrow down your lot selection to one to three lots. Find out what the cost will be for utilities for each of the lots in your top three. A cheaper lot that is not already prepared for utilities may not be as good a deal as the one that is a little more expensive but already prepared for electricity, water and sanitary service. With an unprepared lot, you might find that you’ll be responsible for paying all costs to run the utilities to the lot. Find out what fees you will have to pay such as building permits, utilities and hookups for each lot. Make sure you have them in writing. Invite your builder to visit each lot and discuss each site’s potential. Pay attention to the physical features of each lot such as slop, water features, mature trees, etc. Which things are benefits and which may cause potential problems in the future? These hints will help you find the right lot for you with less hassle and headaches ensuring you’ll love the location of your new home.